Roman food focuses heavily on a few flavors, but the tough part is finding dishes that variy and don’t just lump on the fish sauce, vinegar, and honey. Original recipe: Liquamen, porrum concisum, cuminum, passum, satureiam, uinum. Mixtum facies aquatius et ibi mitulos coques. Wash the mussels thoroughly and remove all the sand. 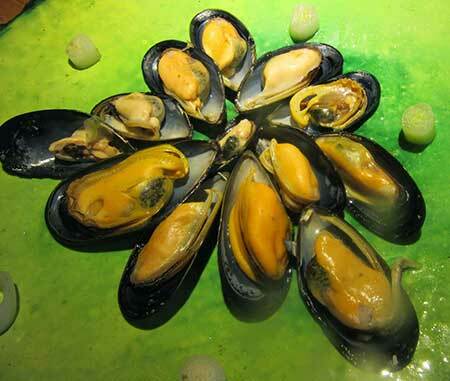 Blend all the ingredients in a pot, then cook slowly until the mussels are tender.